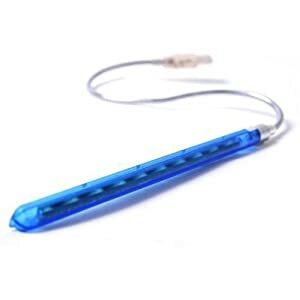 Energy Saving USB LED Laptop Notebook Light by digitallahore. 0 0 Latest Pakistani Fashion Dresses Latest Pakistani Fashion Dresses2013-01-25 18:01:002013-01-25 18:01:00Energy Saving USB LED Laptop Notebook Light by digitallahore. Solar Powered Backup Battery and Charger for Portable Devices by digitallahore. is the perfect solution for emergency power and power on the go. 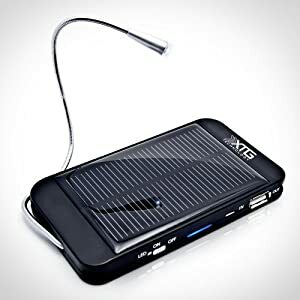 Built-in Lithium Ion battery that can be charged using the provided USB cable or using sunlight via the solar panel. USB output to charge your cell phone, smart phone, Mp3, Bluetooth headset and more on the go (using your device’s existing USB cable). Fully adjustable built in powerful LED light, ideal for reading and more! This is the perfect unit for campers, travelers, gadget enthusiasts, hikers, and power hungry consumers. Great for Emergency Power Use USB charging to charge the internal battery fully. 0 0 Latest Pakistani Fashion Dresses Latest Pakistani Fashion Dresses2013-01-25 17:55:562013-01-25 17:55:56Solar Powered Backup Battery and Charger for Portable Devices by digitallahore. With the USB Mini Fridge you can keep a cool beverage ready to drink at all times! The personal USB frigate holds a single 12 ounce can which is illuminated from the blue LED inside the fridge. Its built-in cooling plate quickly drops to its lowest operating temperature within five minutes after being plugged in. 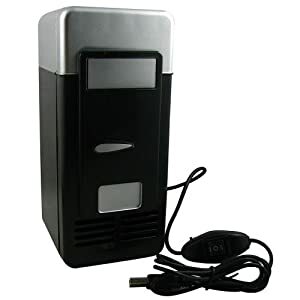 The USB Mini Fridge can be used in your cubicle, home office, bedroom or garage! It works with any computer operating system and does not requires batteries. Lit Motors Futuristic Motorbike C-1 on Roads by digitallahore. Do you think riding on the motorcycle is more risky than a car and you are afraid of driving this unsafe vehicle? Don’t worry Lit motors is working on a prototype electric motorcycle which would be safe as a car. The Lit Motors futuristic motorbike C-1 is a two wheel electric bike which is using gyroscopic technology to stay upright even when you are not moving. The Vehicle is totally covered by all sides which make you feel like you are sitting in the car. Sitting behind the shell makes you feel safe and comfortable. Lit Motors futuristic motorbike C-1 is still under process and hopefully to be show roomed at the end of 2014. 0 0 Latest Pakistani Fashion Dresses Latest Pakistani Fashion Dresses2013-01-22 11:54:232013-01-22 11:54:23Lit Motors Futuristic Motorbike C-1 on Roads by digitallahore. TP-LINK Announces 3G Mobile WI-FI Battery Powered M5350 by digitallahore. TP-LINK announces its new device named as TP-LINK M5350 which is powered by a battery and equipped with 3G Mobile WI-FI to provide you with high speed internet aces. Internal battery of the wireless device is rechargeable and can be used for 7 to 10 hours after being fully charged. M5350 is also armed with a Sim slot supporting HSPA+3G Broadband Connectivity which has transfer speed up to 21 Mbps for download whereas the upload speed reaches at 5.7 Mbps. The device is also furnished with a Card Slot which supports 32 GB of memory allowing the user to store the data and sharing the files between the devices. 0 0 Latest Pakistani Fashion Dresses Latest Pakistani Fashion Dresses2013-01-22 11:52:332013-01-22 11:52:33TP-LINK Announces 3G Mobile WI-FI Battery Powered M5350 by digitallahore.